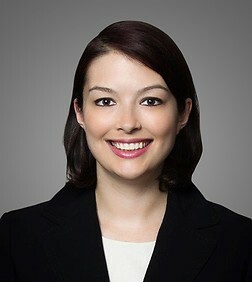 Blanka Wolfe is a special counsel in the Finance & Bankruptcy Practice Group in the firm's New York office. Ms. Wolfe represents international and domestic clients in domestic bankruptcy cases, foreign insolvencies, and creditors' rights litigations. She has represented creditors, creditors' committees, institutional lenders, chapter 7 trustees, distressed asset investors and purchasers, and debtors in bankruptcy cases, bankruptcy litigation and related out-of-court transactions in the United States and abroad, and in various industries, including financial services, aviation, hospitality, technology, pharmaceuticals, medical technology, real estate, equipment leasing and retail. Angelo, Gordon & Co., L.P., as landlord, in the chapter 11 cases of Friendly's Ice Cream Corporation, Powerwave Technologies, Inc. and TPO Hess Holdings, Inc. Defendant in avoidance action brought by Trustee for the Liquidation of Bernard L. Madoff Investment Securities, LLC. SG Equipment Finance, as equipment lessor, in the chapter 11 case of Patriot Coal in the Bankruptcy Court for the Eastern District of Missouri. Borrower in out-of-court restructuring of $44 million aircraft loan and guarantee. Wilmington Trust, N.A., as indenture trustee, in the chapter 11 case of Hawker Beechcraft, Inc. and its affiliated debtors. Mediterranean Shipping Co. in avoidance action brought by Claims Agent for the chapter 11 estates of AbitibiBowater, Inc.
Société Générale in the chapter 11 and chapter 15 cases of Inverness Distribution Ltd. f/k/a Morgan Creek International Ltd.
St. Jude Medical Corp. in preference actions brought in various hospital bankruptcy cases nationwide, including St. Mary's Hospital, Passaic (NJ), Beth Israel Hospital Association of Passaic's (NJ), Pascack Valley Hospital Association, Inc. (NJ), Forum Health (OH) and Johnson Memorial Hospital, Inc. (CT). Various creditors and contract counterparties, including Agricultural Bank of Taiwan, Evangelical Christian Credit Union and Norton Gold Fields Ltd., in chapter 11 cases and related foreign insolvency proceedings of Lehman Brothers Holding Inc. and its affiliated debtors. VPD IV, Inc. in the chapter 11 case of Blockbuster Inc. and the purchase of assets from debtor Movie Gallery Inc.
Synopsys, Inc. in the chapter 7 case of TranSwitch Corporation and the chapter 11 cases of the Eastman Kodak Company and Silicon Graphics Inc.
Noteholders' ad hoc committee and the indenture trustee in litigation and arbitration against Traffic Stream (BVI) Infrastructure Limited in Hong Kong and the Peoples Republic of China. Therapeutics, Inc. in the chapter 7 case of Artes Medical, Inc. in the Bankruptcy Court for the Southern District of California. Marriott International in the chapter 11 cases of Innkeepers USA Trust and MSR Resort Golf Course LLC in the Bankruptcy Court for the Southern District of New York and Village Hotel Holdings LLC in the Bankruptcy Court for the District of Nevada. Goodrich Corporation in various airline bankruptcy cases worldwide, including Mesa Air Group Inc. (NY), Frontier Airlines (NY), ATA Airlines (IN), Mexicana (MX), XL Airways (UK) and MK Airlines (UK). Debtor Vectrix Corporation in its chapter 11 case in the Bankruptcy Court for the District of Delaware, including the sale of substantially all of its assets pursuant to section 363 of the Bankruptcy Code and the confirmation of its plan of liquidation. Various creditors, including DHL Express/Exel Inc., Hankook Tire Co. Ltd., and Mediterranean Shipping Co., in the Chrysler and General Motors bankruptcy cases. TCV Industrial Group as proposed purchaser of assets in Syntax-Brillian's chapter 11 case and in adversary proceeding brought by debtor in the Bankruptcy Court for the District of Delaware. Puerto Rico’s New Bankruptcy Law: A Quick Fix For Its Bond Crisis? Municipal Bankruptcies - What To Learn From Detroit?